Halloween is very fun in Europe. 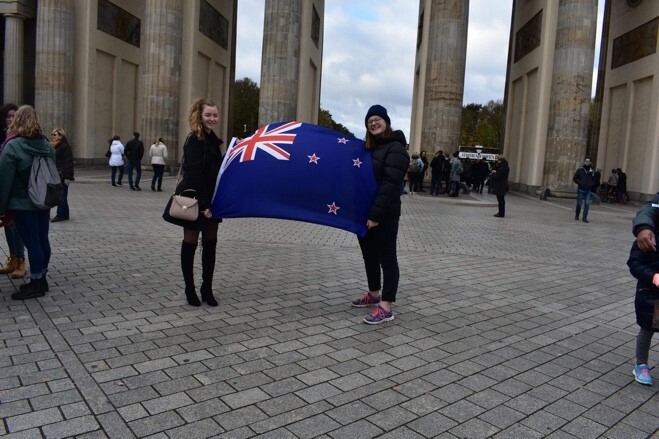 It’s still not as big in Europe as it is in America but it is certainly bigger than New Zealand. 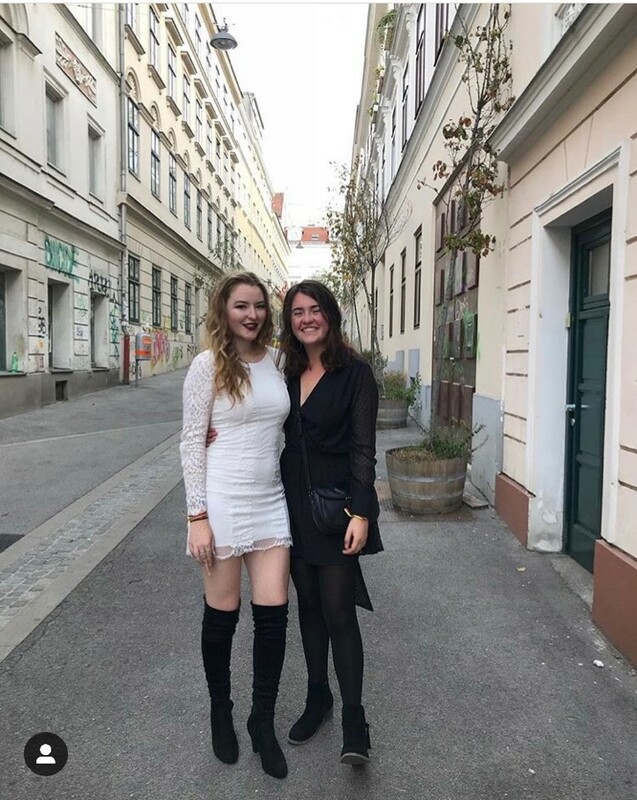 I spent my Halloween in Vienna with some exchange students. We all dressed up and then went to another exchange students Halloween party. 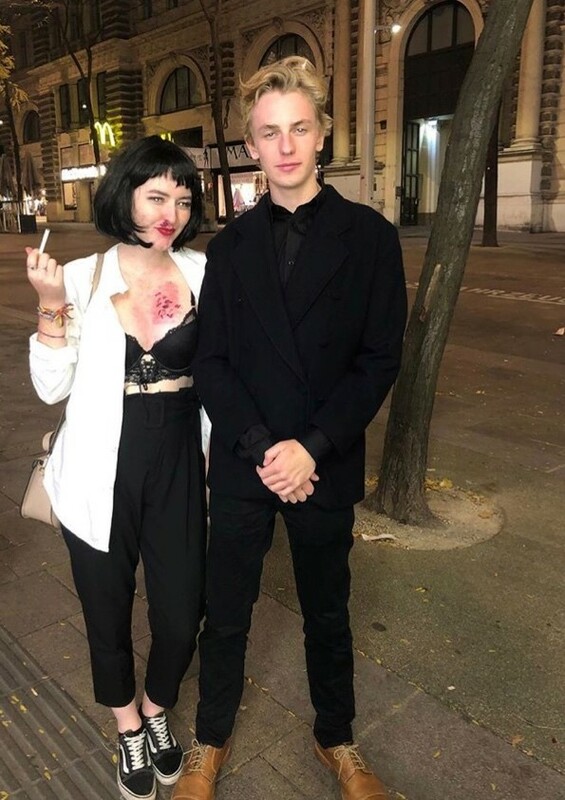 I was dressed as Mia from pulp fiction. It was fun walking around the city seeing everyone else dressed up and spooky. 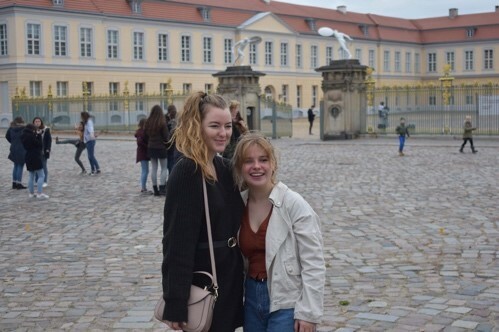 All the exchange students in Austria as well as Hungary participated in a weekend of culture and fun in Vienna. 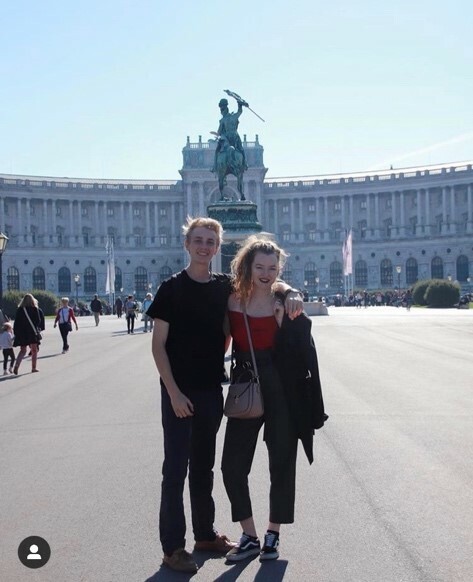 We went to the opera and had a tour of the city (I could of done better). 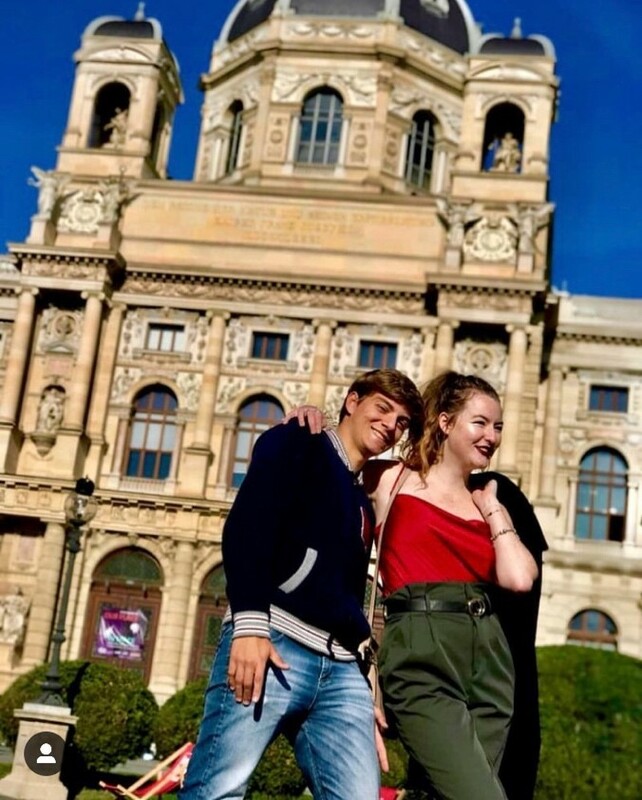 we explored the city and showed the Hungarians around. The opera was really impressive and I was blown away by the singing and orchestra ( however 4 hour operas are a bit long). We had good weather and overall it was a great time. 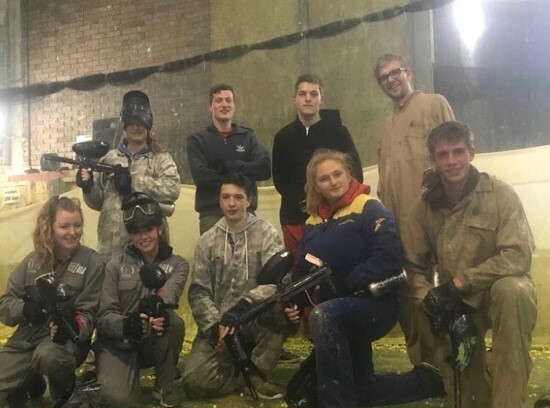 I went paintballing with my Austrian friends and two other exchange students. An adrenaline filled 4 hours full of pain and swearing. It was the time of my life. At the end of the session we had some ammo left and we went HAM on my friend from Canada. My bruises are still here but totally worth it. Dare I say I could potentially be a sharp shooter in the future. We headed off bright and early from Linz (Austria) and started on the 3 hour drive to Prague ( Czech Republic ). The bus was buzzing with chatter from around 60 exchange students from Austria and Bosnia. Music was blasting in one part of the bus and students were fast sleep on the other. 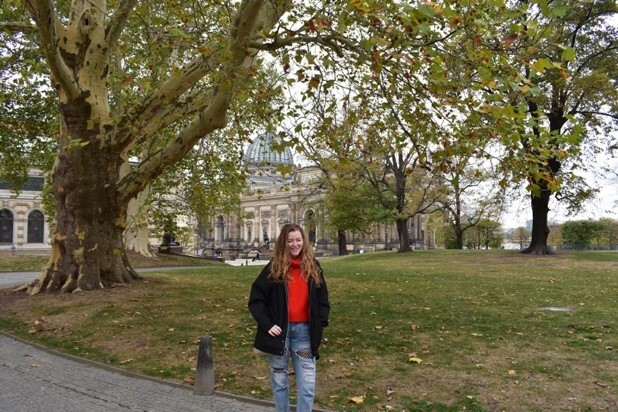 We arrived in Prague around 10:30 am and were taken on a breath taking tour of the city. 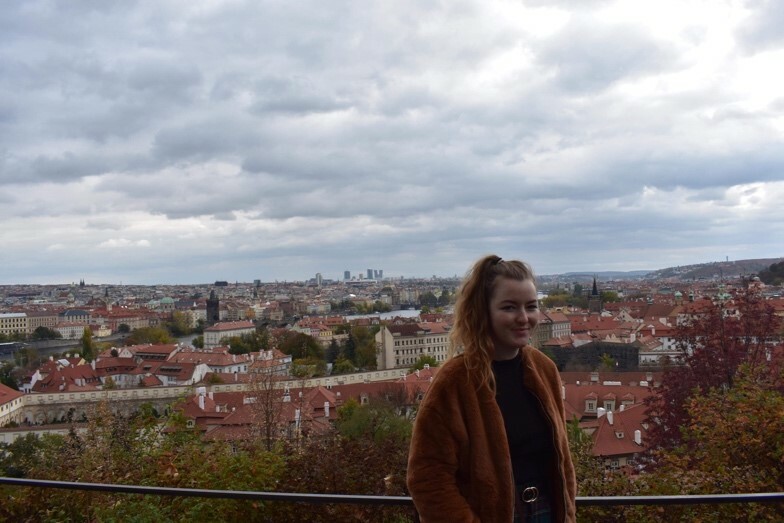 Me being a (I hope) semi fashionable gal, wore heels because you gotta look good in photos while in Prague. However, I was not anticipating how much we would walk on our tour and how cobbled the cobbled stone pathways would be. No matter though because I still got through the day without breaking an ankle and getting some good photos, all worth it in the end. We were allowed an hours free time in the city center so, we proceeded to make our way to the nearest store which sold Prague’s specialty. A traditional Slovak rolled pastry originating from the Hungarian-speaking region of Transylvania, the trdelník is usually served warm and topped with a dusting of sugar, nuts or cinnamon. This delectable treat is made by wrapping the pastry dough around a wooden or metal stick, roasting it over an open flame and coated with sugar or cinnamon then filled with ice cream and covered in chocolate. We then headed back to the bus and continued out journey to Dresden ( Germany ). 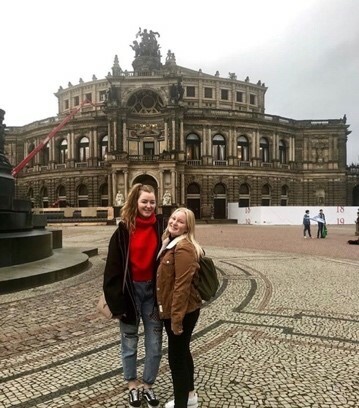 We arrived in Dresden at 8:30 and had dinner at a vapiano and then had free time in the city. That’s night we were all exhausted so about 12 exchange students all bundled up on one double bed and watched a movie instead. Overall great day with great people, eating great food and experiencing new and exciting things. We started our day with a tour around the city of Dresden ( lasting 3 hours ). It was very informative but let’s just say we were itching to explore the city ourselves. We got let go at around 12 and we were off. 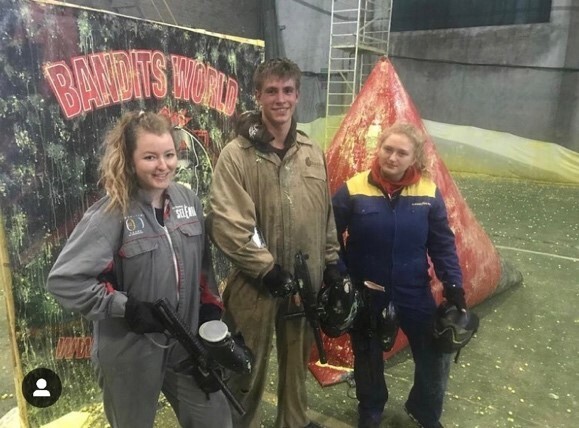 Ethan, Anja ( Australians and my best exchange friends ) and I decided to spend that day just us three. 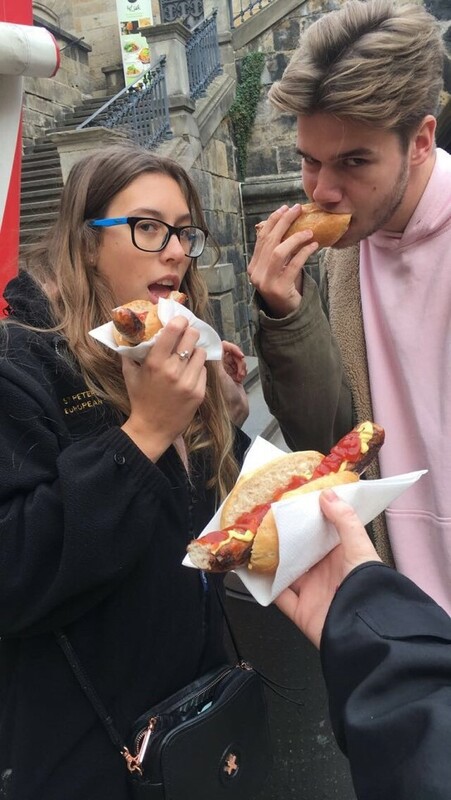 We got bratwursts ( special German sausages ) from a street vendor ( the only way to get an authentic one ) and walked around the beautiful city and took photos. We then met some locals and they told us that every Monday they protest against foreigners. Personally I don’t know if I would want to go on an exchange there once learning that information. But overall the city is very beautiful and would like to go back one day. We then headed to the bus and had a long drive up to Berlin. Arrived in Berlin at around 6:30 and settled into our hostel. We then had free time until 11 so we went out into the city blindly. 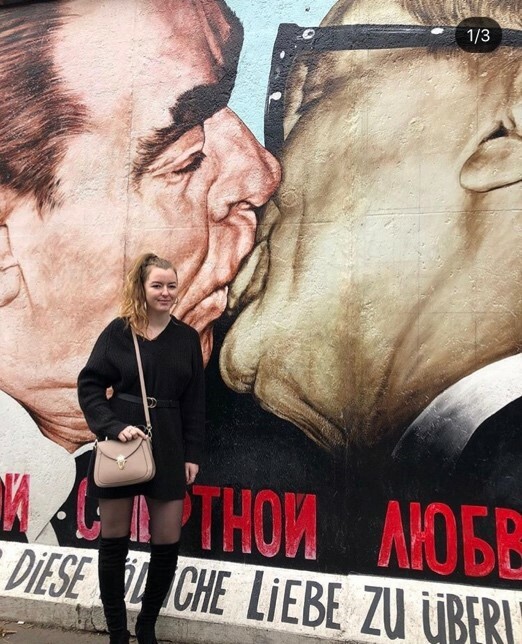 Fortunately Anja has a friend on exchange in Berlin so we had our own personal tour guide. We spent the night sitting next to the river listening to music and meeting other Berlin exchange students. Once again, we wake up bright and early and we start on the tour of the city in a bus tour. During this bus tour, they took us to the most famous places and let us get out for around 10 to 20 minutes at each stop. 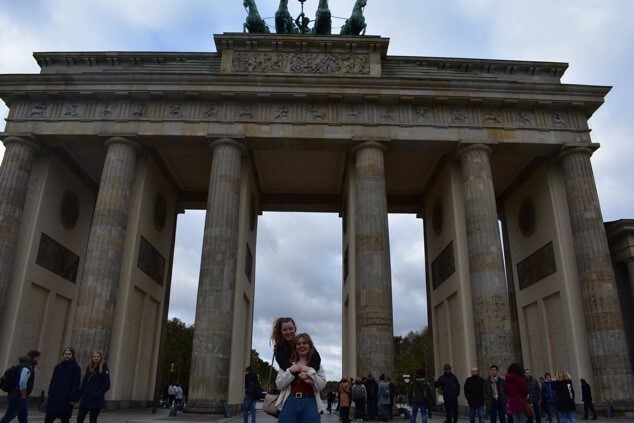 For example we were dropped at the Branden Burg Gate and the Berlin Wall where all the murals were painted. This went on for most of the morning and then we were allowed off on our own for the rest of the day until 6. 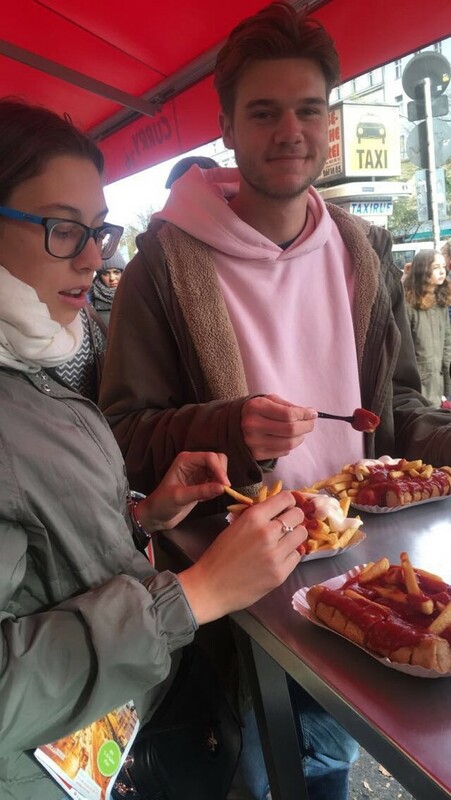 Around 6 other exchange Students and myself went to explore the city and get the only food we would settle for, Currywurst. We went to the most famous place in Berlin that sold Currywurst called curry66, it was delicious. 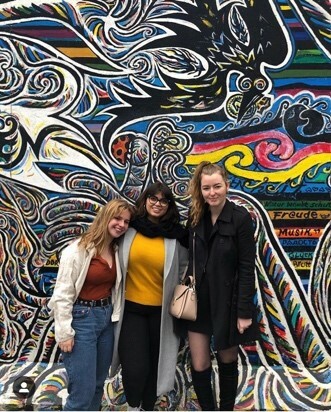 We then spent the rest of the day exploring, listening to street buskers, getting lost on the underground rail system and having fun. We spent the afternoon sitting next to our beloved river listening to music and relaxing. However, it was hard to relax when it was so cold ( 6 degrees ). We then went back to the hostel had dinner and were let back out into the city until 11:30 pm. 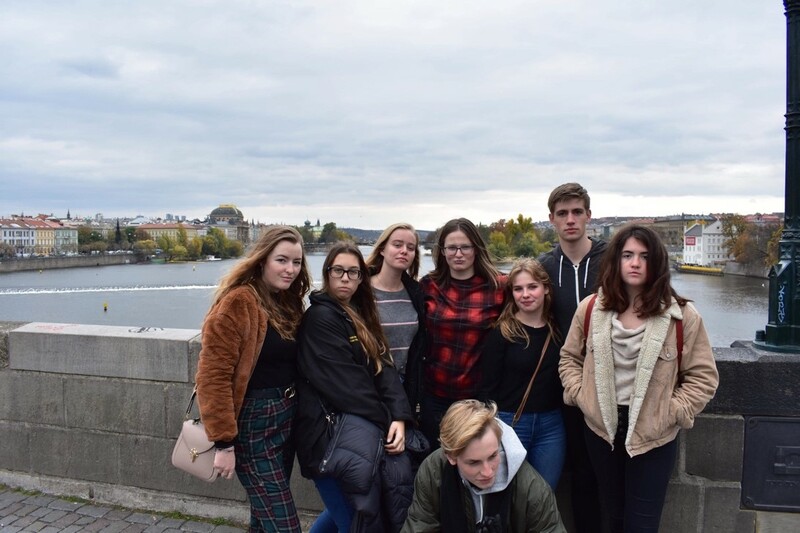 Myself and some other exchange students decided to go back to our spot by the river and meet up with some other exchange students who were currently in Berlin on their exchanges. I have so many new friends now it’s great. We had to sprint to get back to our rooms in time for room check and that was probably the most of run on my exchange. 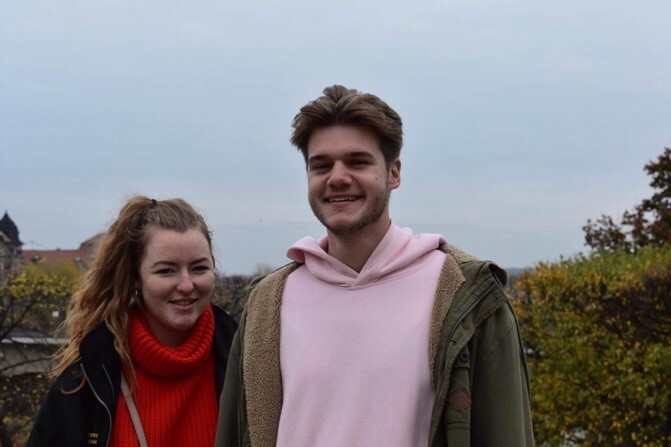 We had 10 minutes to get back but we still had to take 2 trains and had a five minute walk back from the station, needless to say an exchange student can do anything and complete the impossible when it comes to room checks and getting in trouble. We had to wake up bright and early and file into the bus for a 10 hour drive back to Austria. We had two stops along the way and everyone slept for the rest of the day. We also watched movies and listened to music. We get back to Austria around 6 pm and say our goodbyes. Ethan and I go back with Anja to Salzburg and we stay with her Austrian friend.